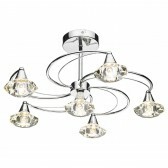 The gorgeous 8 light chandelier ceiling light is from the Turin range a part of the crystal collection by Impex. 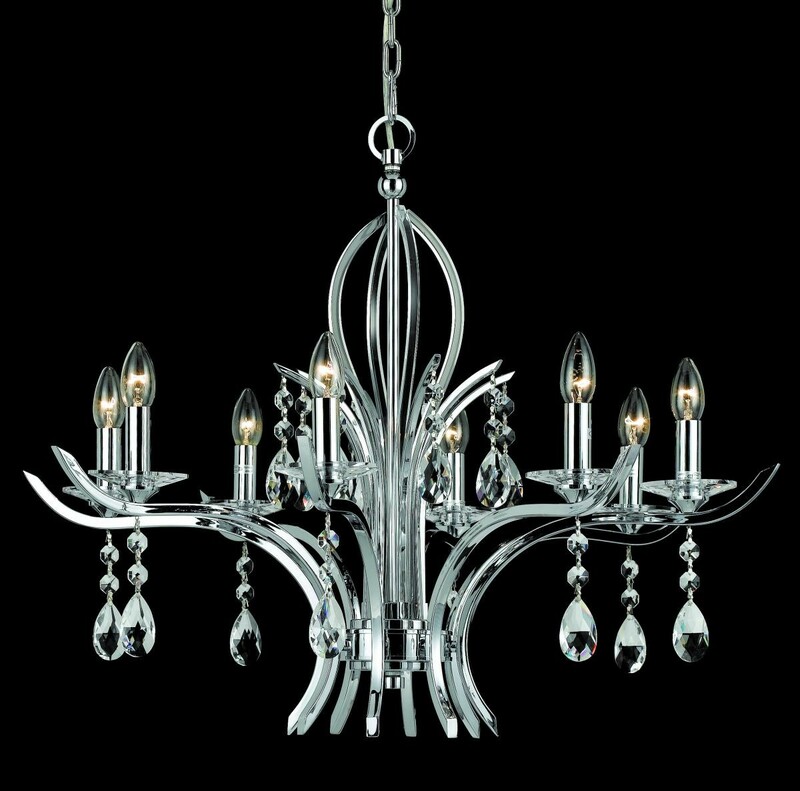 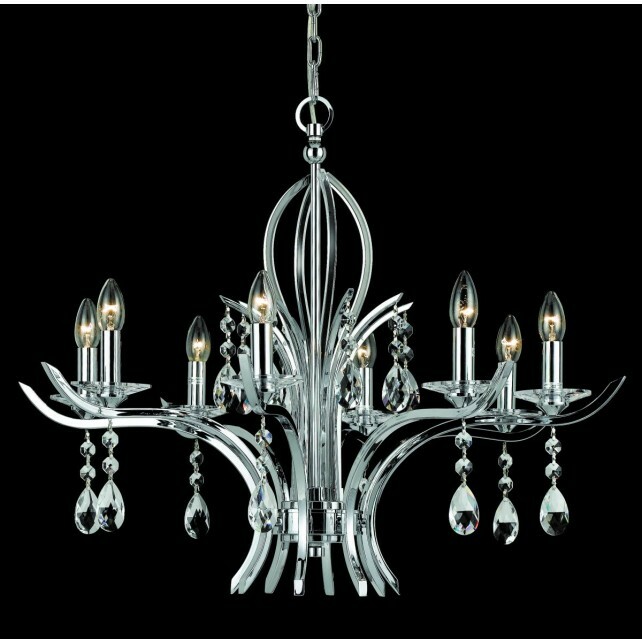 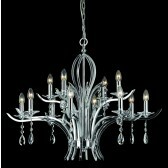 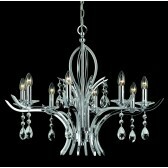 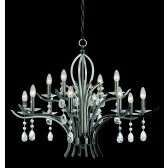 Showing a chrome finish, this traditional styled chandelier has a modern twist. 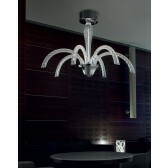 Featuring a centre column arm, with 4 arms curving outwards and inwards, to the centre. 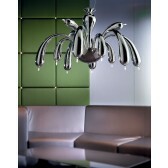 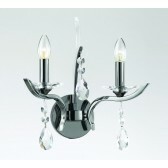 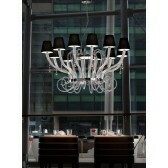 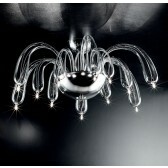 Complete with 8 curving arms each holding a crystal glass sconce with additional crystal glass drop design. 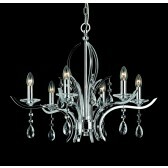 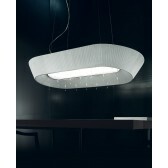 This lovely design is availble in the 6 and 12 light, the 12 light is also available in gun metal. 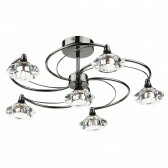 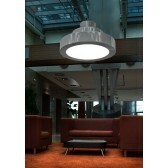 Suited to a modern setting this light would be the perfect finishing touch to a living room as a centrepiece.